At Clifton Dental Arts, you, your oral health, and your smile are our top priorities. Dr. Lisa Ference, and her team love building long-term relationships with our patients, while helping them develop excellent dental health. It would be our pleasure to be your dental care partner, as well. Our passion is creating healthy smiles for our community, one person at a time. We emphasize preventive care, to stop problems from starting, and minimally invasive treatments that yield the strongest results. Using state-of-the-art technology, and advanced processes, we deliver painless treatment that’s efficient and affordable. 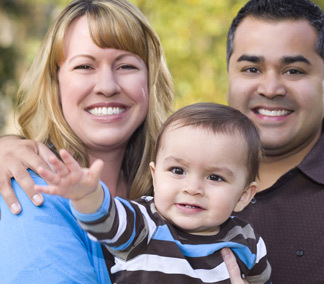 We believe it’s essential to offer dental care in a warm, welcoming, and safe environment. It’s important you feel relaxed here, and know that you’re in gentle hands. Each of our team members is an experienced professional. We’re also friendly and compassionate, and enjoy getting to know our patients on a personal level. While our office has the most advanced dental tools and equipment used for diagnosis and treatment, we never neglect the human connection. Dr. Ference, and her team members will actively listen to you and encourage you to talk about your care goals and concerns. It’s only by truly understanding what you desire that we can help you achieve a healthy smile. 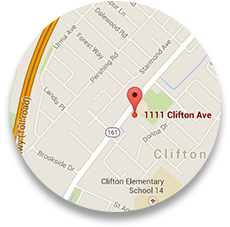 Clifton Dental Arts provides comprehensive, patient-focused dental care in Clifton, NJ. We welcome patients and families from Wayne, Totowa, and all nearby communities. To learn more about how we can help you develop a healthy smile, and to schedule a visit for yourself or a loved one, please call. Dr. Ference, and her team can’t wait to start working with you. Together, we’ll develop your optimal dental health and a smile you’ll share with confidence!